Brand new design! Also possible to play against bots instead of other players for faster games! 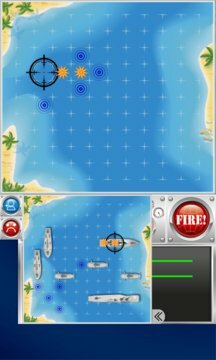 Ship Battle is a strategic turn-based game where your goal is to destroy your opponent's fleet before they can destroy yours. 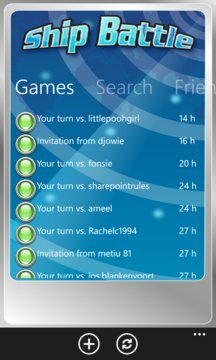 You can play this classic game on your phone against as many opponents as you like. Challenge your opponents (friends, random opponents or the computer), set up your fleet strategically and prepare for action! As you defeat your opponents, your rating will rise along. See if you can make the top 25 of your country or even world wide! - Push notifications: When it's your turn in a game, a toast is shown. You can turn this off in the settings of the app. - Fixed problem where board setup in rare cases was changed at the server and/or you got the message "Board invalid"
- Added a premium app with even more functionality! - Brand new design! New boats, new backgrounds, new live tile. You will be able to choose your own theme and we will add even more functionality!